This document has been prepared in consultation with Staff and the Board of management (BoM) to outline a clear policy for the administration of medicines in the school. Ensure the strictest guidelines and controls are in place and that clear instructions are available to staff. Fulfil the duty of the BoM in relation to the Safety, Health and Welfare at Work Act 2005, the Safety Health and Welfare at Work (General Application) Regulations 2007 and associated legislation. The BoM has overall responsibility for the implementation and monitoring of the school policy on Administration of Medication. The Principal is the day to day manager of routines contained in the policy with the assistance of all staff members. The Principal is also responsible for monitoring, reviewing and amending this policy, as required. The Special Duties Teacher (Breda Quigley) is responsible for the maintenance and replenishment of First Aid Boxes within the school. AP II post holder,(Alice Keogh), is responsible for ensuring medicine stored within the school are stored in a locked office with the correct documentation. 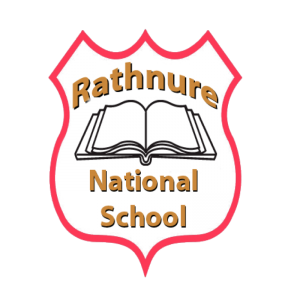 Prescribed medicines will only be administered after parents/guardians of the pupil concerned have written to the BoM requesting the Board to authorise a member of the teaching staff to do so. Under no circumstance will non-prescribed medicines be either stored or administered in the school. The Board will seek indemnity from parents in respect of any liability arising from the administration of medicines. The School generally advocates the self-administration (e.g. inhalers) of medicine under the supervision of a responsible adult, exercising the standard of care of a prudent parent. A small quantity of prescription drugs will be stored in the Administration Office if a child requires self-administering on a daily basis or could possibly require emergency medication, and parents have requested storage facilities. Parents are responsible for the provision of medication and notification of change of dosage. The school maintains an up to date register of contact details of all parents/guardians including emergency numbers. This is updated in September of each school year. In the event of an emergency, the principal and staff will endeavour to assist the pupil in every way possible, taking into consideration the information received from parents/guardians. Qualified medical treatment should be secured in emergencies at the earliest opportunity. Where no qualified medical treatment is available, and circumstances warrant immediate medical attention, designated staff members may take a child into Accident and Emergency without delay. Parents/Guardians will be informed of the situation. In the event of a pupil suffering a serious illness, the principal or her delegate will arrange for the pupil to be transported to hospital by ambulance. The principal or her delegate will contact the child’s parents/guardians informing them of the situation and arrange for staff members to accompany the child to the hospital until such time as the child’s parents/guardians arrive. Parents/Guardians must ensure that teachers are made aware in writing of any medical condition which their child is suffering from. For example children who are epileptics, diabetics etc. may have a seizure at any time and teachers must be made aware of symptoms in order to ensure that treatment may be given by appropriate persons. Written details are required from the parents/guardians outlining the child’s personal details, name of medication, prescribed dosage, whether the child is capable of self-administration and the circumstances under which the medication is to be given. A fully stocked first aid box is available within the school. A full First Aid Kit is taken when children are engaged in out of school activities such as tours, football/hurling games and athletic activities. A first aid book to record any more serious incidents that occur during school hours is situated in the staff room and each individual teacher and adult on yard duty is responsible of recording any notable events. What medication is to be administered? When is it to be administered? Do you administer a second dose, and if so after how long? When should further action be taken? When should Buccal Midazolam be administered? How much should be given initially? Do not administer more than ____________________ Midazolam in 4 hours. Do not administer more than ____________________ Midazolam in 24 hours.